IPL 2019 MI vs KXIP live streaming will be made available by the official partners on their respective portals. You can watch live cricket match today online on Hotstar, Jio, AirTel, and Star Sports. The upcoming Indian Premier League will be played from March 29, 2019, to May 19, 2019. It could be held in South Africa or United Arab Emirates (UAE) due to Indian General Elections. The below will be updated timely as it is subject to change. It’s the season 11 of Indian Premier League, the annual cricketing extravaganza in India. Today’s match is set to start at 8 pm IST while the toss will take place at 7:30 pm IST. The 30-minute time gap is given in every game to get the match going on the ground. As of before this match, the IPL 2018 points table states the following. Mumbai Indians is ranked 6th out of 8 teams with 10 points in 12 matches – winning five and losing seven games. On the other hand, Kings XI Punjab is a little better ranked at number 5. It has garnered 12 points in 12 matches – winning and losing six each. If you want to catch the latest IPL updates on television, then you can go for Star Sports 1/ HD and Star Sports Select 1/ HD for English commentary. If you want to get the same in Hindi, then your channels are Star Sports 1 Hindi / HD. Star Sports is the official broadcaster. Don’t feel disappointed if you don’t have the luxury to the TV. In such a case, you can always opt for IPL online free live stream options. Your portals are Jio TV app, AirTel TV app, Hotstar app, and Hotstar.com, the official website. Mathematically, Kings XI has got an opportunity to make it to number four in the table, i.e., to be in the first four to get itself a berth in the IPL 2018 playoffs. Only two matches are left until the next round of play. 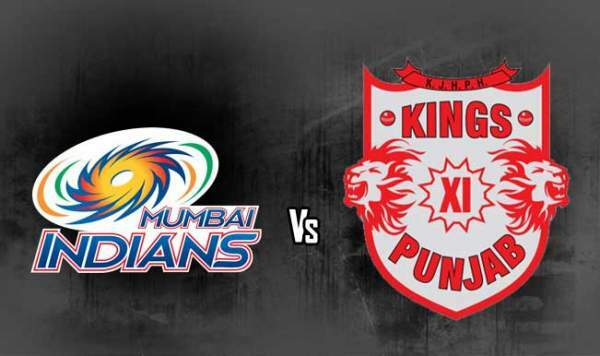 Today’s IPL t20 match of KXIP vs MI is to be played at the Wankhede Stadium located in Mumbai. Just four games back, Rohit Sharma led MI’s fate looked uncleared. But, it get itself back in the action with registering a hat-trick of victories. But, it lost to Rajasthan Royals in the last game. Mumbai will have to win both the remaining games to proceed to the playoffs. R Ashwin led Punjab started the tournament on a very good note, but lost five of their last six games.